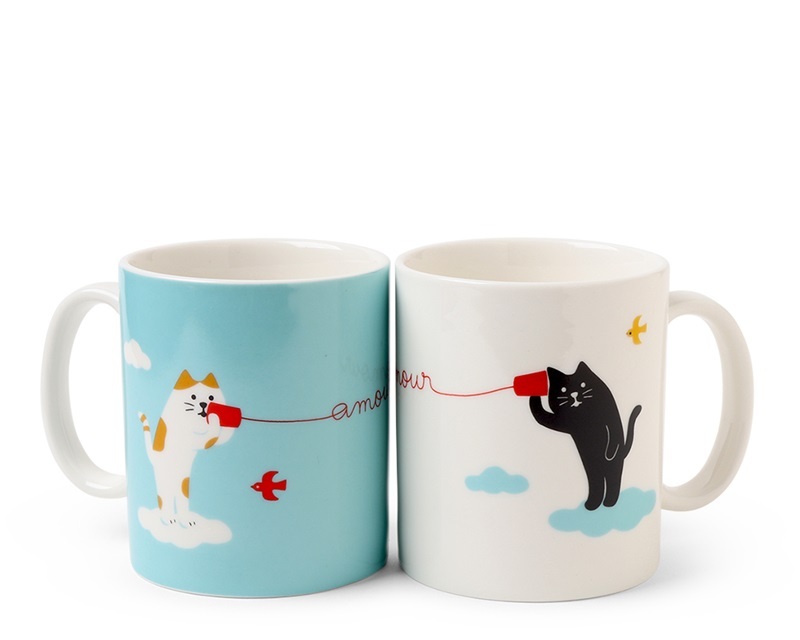 There's nothing sweeter than cats in love whispering sweet nothings into each other's ears through tin cans and string... Now, you can have a mug set to illustrate it! When you line the mugs up correctly, they spell out "amour" across the mugs. Sentimental for long distance relationships too! Set of two 8 oz. 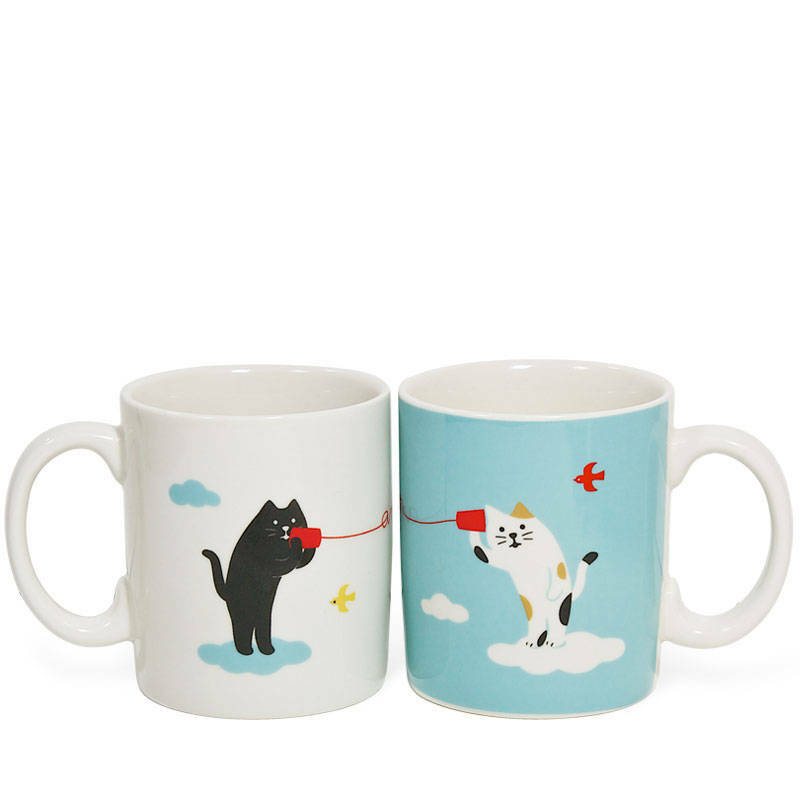 mugs. 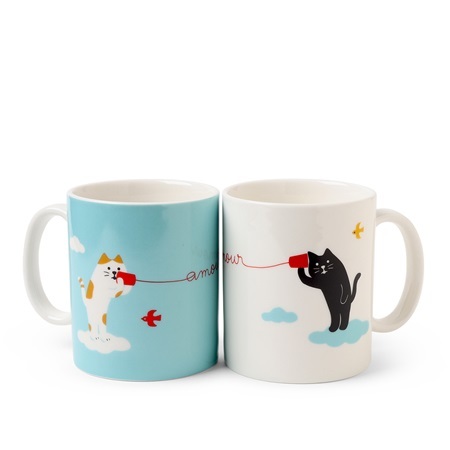 One for you and one for your cat's meow. 4.25" x 3" x 2.5"h; 8 oz. capacity.